The nature reserve, established in 1988, is the largest protected archaeological area of Valle Camonica. 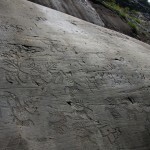 Its rock art, recognized by UNESCO as World Heritage, depicts a wonderful story: human being’s epic life in prehistory, from the late Neolithic (V mill. BC) until historical age. A pre-writing language that, even today, delivers ancestral messages. The tour of the reserve begins with Nadro’s didactic Museum (where ticket service, information, reception, bookshop, audio-guides are available) and continues on one of the many trails with access from Nadro di Ceto (for Foppe), from Cimbergo (for Campanine – Figna) and Paspardo (for Plas – Capitello, In Vall, Sottolaiolo). The tour itineraries allow, in a few hours or several days, to admire the many aspects of the reserves: rock art, archeology, ethnography and natural environment. Leaving Nadro’s lovely historical center, after the tour of the didactic museum, an ancient cobbled path leads to the archaeological area of Foppe: densely engraved surfaces succeed one another, the visit is organized along a pleasant loop route. 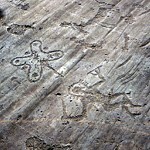 The rock art found here ranges from the V mill. B.C. until the early Middle Ages; of peculiar relevance are the depictions of Bronze Age weapons, the plowing scenes, the graceful warriors of Etruscan influence (middle Iron Age), the famous Rosa Camuna (emblem of the Lombardy region) and inscriptions in camunian alphabet. The fortress of Cimbergo (XII-XIII sec.) stands out above the signposted path, that leads to the archaeological area of Campanine. The artifacts found during the excavations of this site are on display at the town hall. In the engraved area of Campanine, archaeological researches have identified more than 100 engraved rocks of which a dozen have been included the tour route. 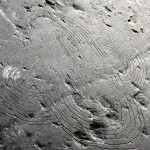 The area began to be engraved during the late Neolithic period (late IV mill. BC), was abandoned during the following centuries (there are very few recordings of the second mill. BC) and was used again in the last millennium B.C. There is a very rich, and so far unique, concentration of engravings of historical age, dating from the end of the Roman period until the modern time. Because of its considerable extension, the archaeological area of Paspardo is divided into sub-areas all located in a picturesque mountain setting, each characterized by unique styles and topics not found in other areas.